Many students on the final course evaluations highlighted their appreciation for the blog and I really enjoyed the fact that I never had to take one photo. Instead of me being distracted by the need to take photos for documentation, students were snapping away with their cameras and phones documenting the course. So they took pictures of the hand- on including the first weekend of the course which corresponded with campus wide Eco-fair. This festival of learning and participation along with good food and crafts is put on by faculty and staff allowing for a unique blend of expertise and appeal. 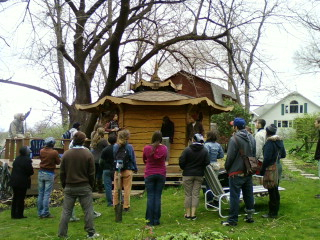 I led a tree planting workshop and also an Intro to Permaculture workshop during this weekend. For the tree planting we dug massive holes since we had so many hands and wanted to create a 15 sq foot area that had been double-dug for the tree and its guild. So while some were digging, some were dividing plants of guild plants like yarrow, comfrey, bee balm, egyptian walking onion, violet, and last but not least, the permaculture all-star comfrey. The guilds are developing quite nicely with the walking onion getting ready to flower as i write this and just had borage, calendula, bunching onions, and garden sorrel added. 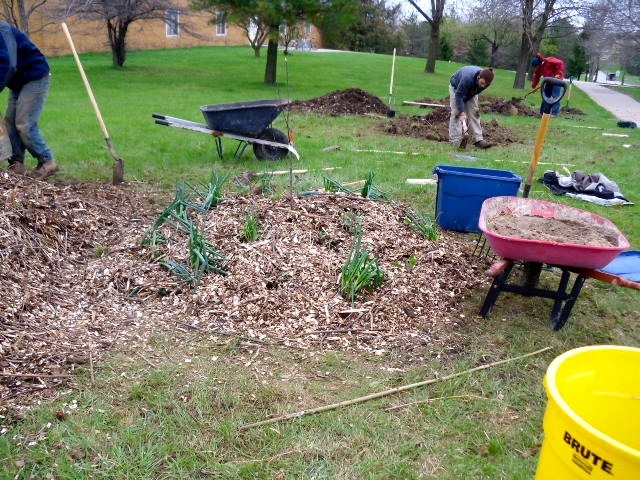 The apples and paw paws, the central element of the guild, seem quite happy with their thick mulch layer, double dug beds, accompanying guild plants, and compost tea to inoculate. We also had a nice rotation station for our second hands on led by myself on composting, Brian Robbins who was a huge help for the course both in and out of the classroom, did a demo on grafting, while local Permaculturist Avi Pogel came in for pruning the pear trees out back. Students engaged in each one of these processes for 35 minutes before switching to the next station. We built a massive compost pile, 5 x 4 x 4 feet in size which has heated up quite rapidly. We have been evaluating it with temperature and flipping it accordingly to help prep for the next blocks Living Soils Class with Dr Elaine Ingham. We also had a couple of really fun filed trips to show students the principles of design in action as well as scales of implementation. Design elements and process are enlivened by this guided field interpretations as we walk and talk about in real landscapes. So first we went to some larger scale projects so students could see how PC can be applied to a farm with integrated systems, an “eco-village” development, and then a small rural holding with numerous scales of natural building. 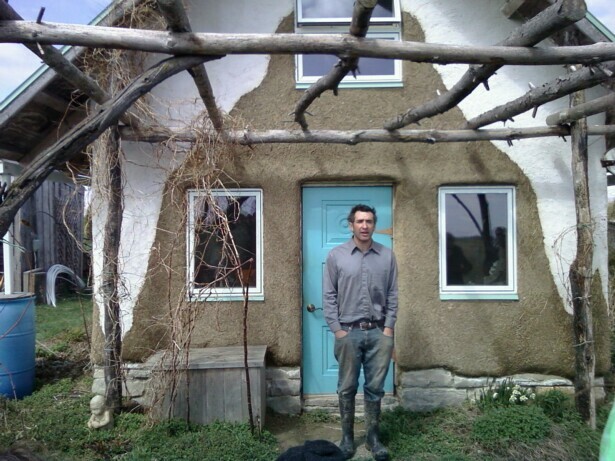 This last site has a large strawbale, a small cob cottage, and a hybrid strawbale/ light clay straw home . All are lovely iterations of skills gained from the Northwest of the USA by the landholders which have developed a fantastic cow manure / natural plaster that keeps the building hardened from the rain but very nice in color. The color below shows two different plastering technique with the aforementioned one as well as lime. 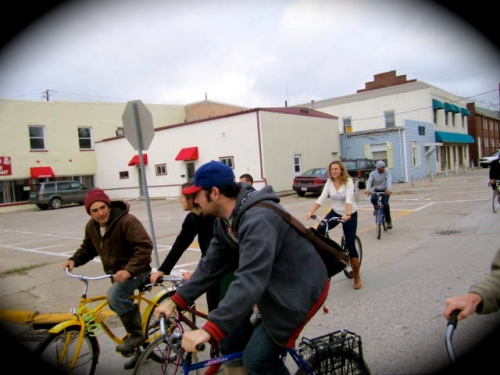 The next field trip we took was the always highly entertaining bike trip around Fairfield city proper limits. Hitting the oasis of Kelly and Brain’s Urban jungle was our main stopover seeing just how much food can be squeezed into a small area. I loved Brian’s analysis of the site, it is one giant guild, not just individual trees having their nucleus plantings. Rather over time they were able to merge those nuclei into a jungly site equipped with food overflowing, soil being built very rapidly and water being held with several design features. We then went to Brian’s new location to see the contrast of how sites develop which helped students with their final designs and the idea of phases of implementation. At his new site it has been designed to be lower maintenance, higher aesthetic quality with the social space being a central feature. It just shows how Permaculture can’t be a rubber stamp, even though it was the same designer and implementer the two came out totally different based on context. From there we went to the Pollcaks, what an exemplary design based on community development and cottage industries based on common sense thinking. Having only recently been exposed to Permaculture by the daughter, Dora Pollack, the site grew over time just purely out of common sense. It has a food buying cooperative, an in home veterinary business, a sauna that is a hotspot for community interaction, and extensive mix of edible and ornamental gardens with chickens out the back. 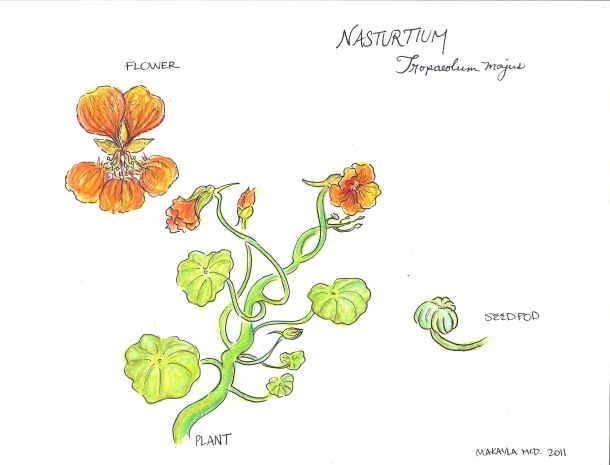 Yes more functional interconnections could be happening, yes more comfrey and jerusalem artichoke could be growing, but socially and economically this is a wonderful example of the 72 hour course curriculum. Overall this course of 35 was a fantastic group to train. We had nearly all continents of the world represented in this course that strongly focused on the design process. We had the grading switched around this course to heavily dominate the extensive design process that we took on. 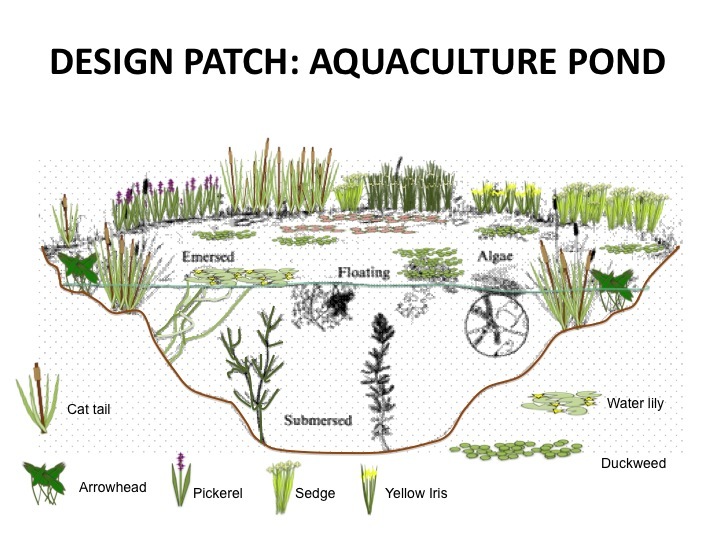 For an example of what studnets actaully presented with check out the following ( FINAL Permaculture Design Project-1 ). 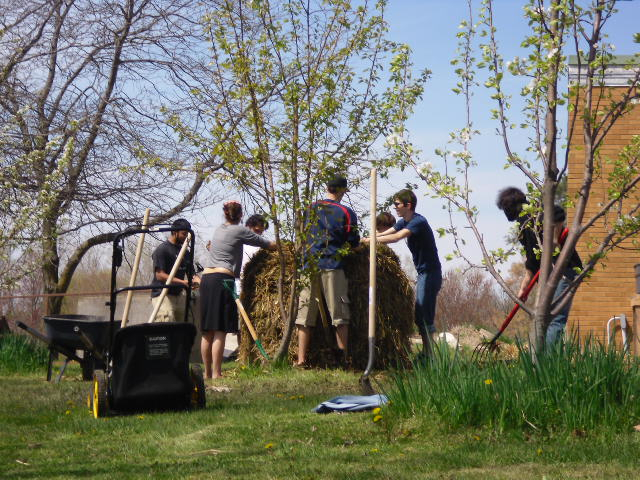 Students were charged with learning the design process not just retaining the overabundance of info in this introductory course for their time in the Sustainable Living Department. This sets the stage for so many other courses from the building classes to the fruit culture class. To really excel in this department and field, the Permaculture knowledge accrued is a must so you can apply the technical info learned in a class like Living Soil into a manifestable form of how to actual plan and orientate a system to produce the material for the compost. As Geoff Lawton says, “All the worlds problems can be solved in a garden.” Congrats and much thanks to all the students, our guest speakers, co-teacher Brian Robbins, teaching assistant Samantha Thomas, and the university itself. Do you have step by step instructions on the food scrap compost pile we made?